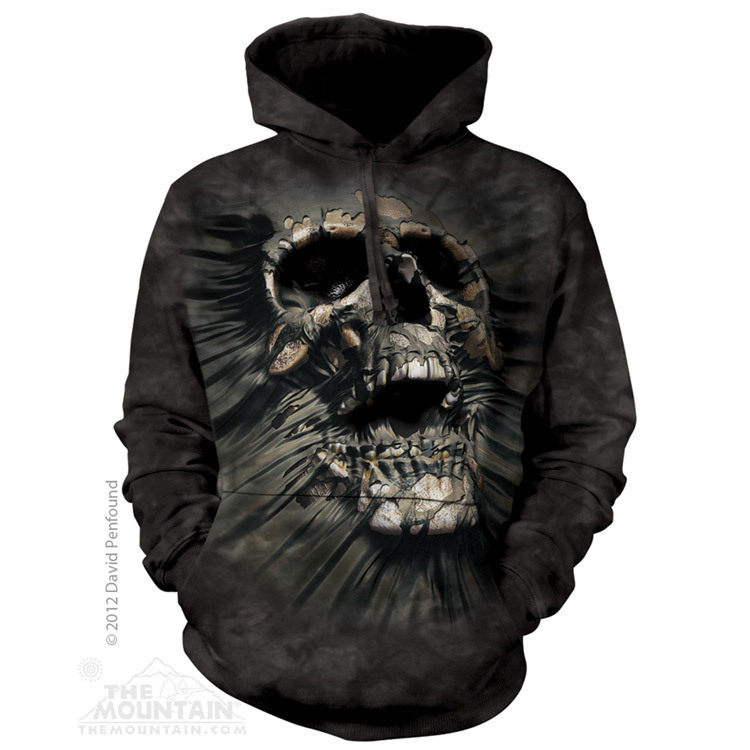 Adult Breakthrough Skull Hoodie is from The Mountain® and features the fantasy artwork of David Penfound. 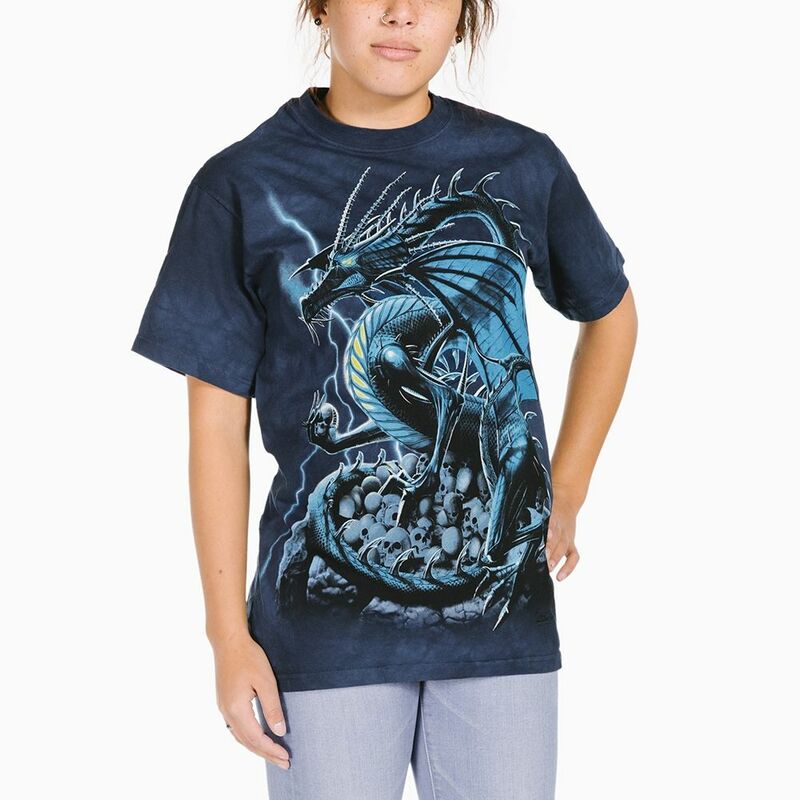 It is a pull over sweatshirt with a jersey-lined hood and front hands pocket. 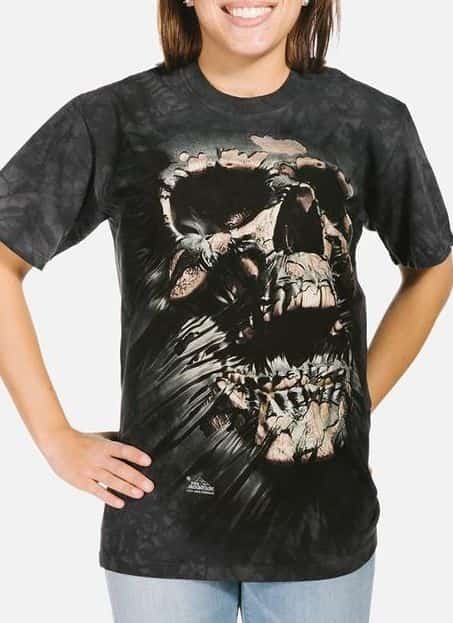 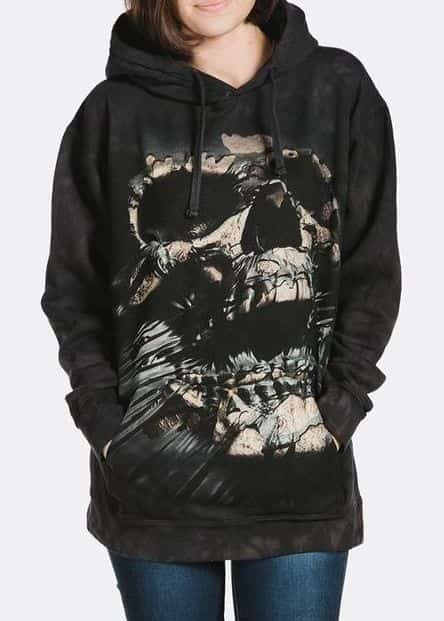 The the image on the front is a skull tearing through the front of the hoodie.